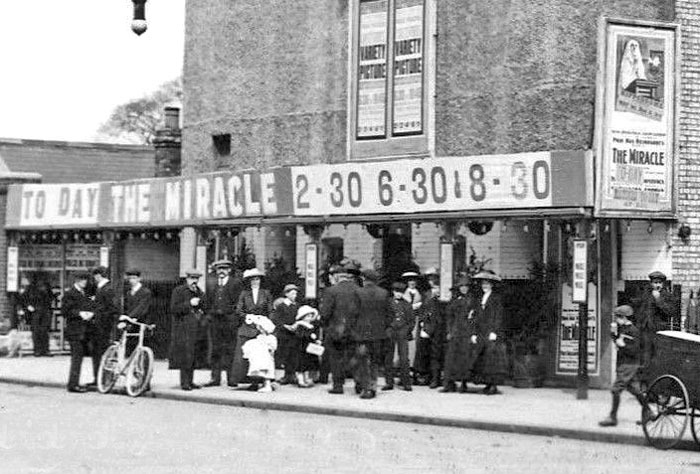 Crowds starting to gather outside the Hippodrome on Broadway c.1912 to see the Karl Vollmoller’s play The Miracle. The Miracle re-told an old legend about a nun in the Middle Ages who runs away from her convent with a knight, and subsequently has several mystical adventures, eventually leading to her being accused of witchcraft. During her absence, the statue of the Virgin Mary in the convent’s chapel comes to life and takes the nun’s place in the convent, until her safe return. The play launched the career of Maria Carmi who went on to star in 25 silent films. 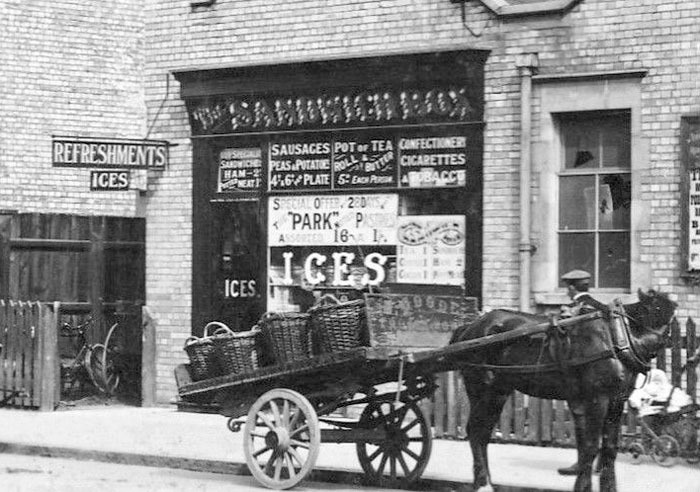 Next door to the Theatre was the popular “Sandwich Box” refreshments store offering choices such as Ham Sandwich (2d), Potted Meat Sandwich (1d), Sausages Peas and Potatoes (4d or 6d a plate), Pot of Tea with Roll and Butter (5d) and an assortment of pastries and ices !